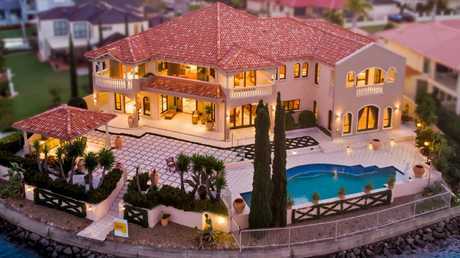 WHEN Alfio Marino could not find someone to build his dream Mediterranean-inspired house at Raby Bay, he decided to just do it himself. 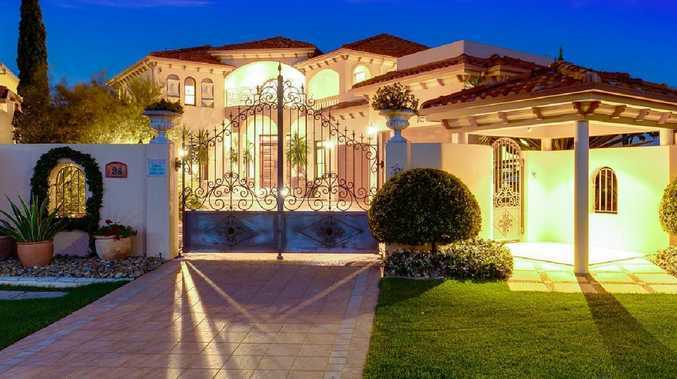 A designer and builder by trade, Mr Marino and his wife Alannah purchased the block of land at 24 Cayman Crescent, Raby Bay, in 1994, and spent the better part of seven days a week for two years constructing their home. "There was nothing left to chance," Mr Marino said. "When we finally saw the finished product it was exactly what we had always wanted." The 1244sq m double-storey house sits on a 1247sq m block overlooking Columbus Canal. Mr Marino said one of his fondest memories was standing at the barbecue as an inquisitive dolphin looked on. "We often get them coming in. They play for about 15 minutes and move on," he said. The house has five bedrooms, three bathrooms and a four car garage. Grand was the word used to describe the living spaces, which include an elegant formal lounge and dining area, with vaulted ceilings adding to feeling of space and light. 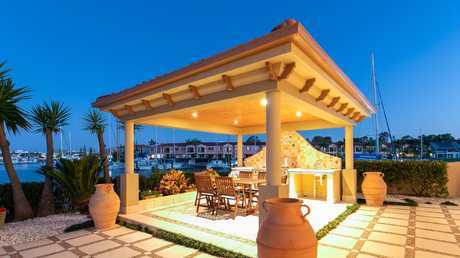 Alfresco areas add to that holiday at home feeling. 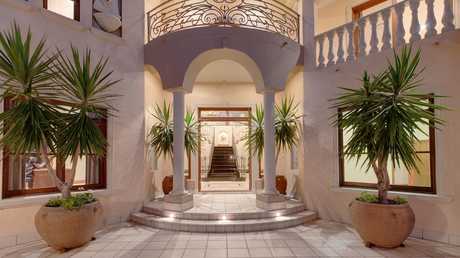 24 Cayman Cres, Raby Bay. The 'state-of-the-art' kitchen has European appliances and solid timber cabinetry. Outside, alfresco areas add to that holiday at home feeling with the pool occupying its own terrace. Mr Marino said one of his favourite spots was an upstairs balcony with parapet. "You could sit out and read the paper and the passing boats wouldn't even know you were there," he said. "On a windy day, you were protected from the elements." Additional features include a granite staircase with a custom-designed, hand-forged iron balustrade, decorative cornices and ceiling roses, handcrafted times, suspended concrete floors, ducted airconditioning, C Bus wiring, security video cameras plus alarm system, and foundations wrapped in builders black plaster to avoid concrete rot. Mr Marino said it had taken "a very long time" to make the decision to move. "It was the longest time I have been in one place," he said. 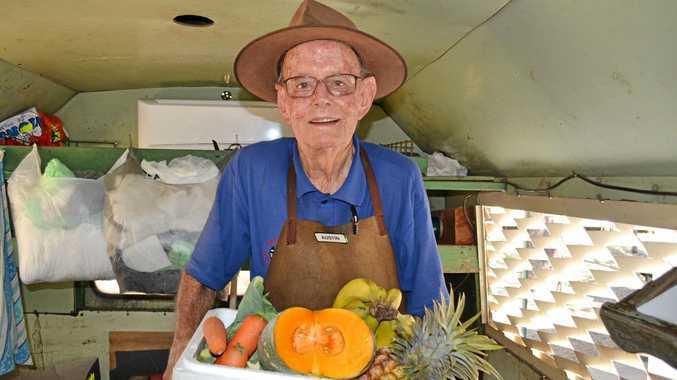 "I am moving towards retirement and we have downsized to a two-storey penthouse (at Redcliffe). "It's still big but I like space. 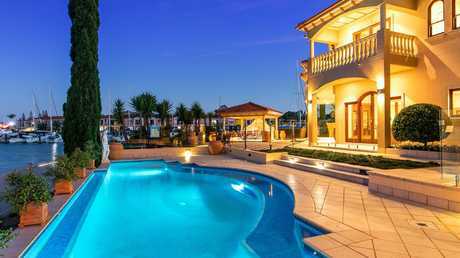 This house (Raby Bay) has always felt like you were permanently on holidays." The house is listed for sale for $6.5 million and is being marketed by Ming Body and Jan Goetze of Raine and Horne Cleveland.